Situated amongst the misty hills of Dunlewey, Errigal Hostel has been sheltering hill walkers, photographers, bikers and hikers for over forty years. The lure of Errigal Mountain with its 100% panoramic views of northwest Donegal will surely delight the novice as well as the experienced climber. The infamous Poisoned Glen with its resident ghost 'The Green Lady' should also keep those intrepid ghost hunters on their toes! 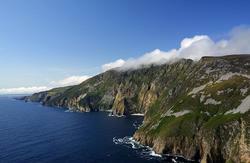 The hostel is also a prime location from which to discover the northwest Donegal area. From here you can visit the Glenveagh national park with its castle and Italian gardens, or take a stroll along one of the many white sandy beaches of the Donegal coast. The nearest town of Bunbeg contains many a traditional pub where you can listen to an Irish music session while savouring a drop or two of the black stuff! From Letterkenny or Derry, take the Lough Swilly service, Derry - Dungloe and alight at Dunlewy Cross. 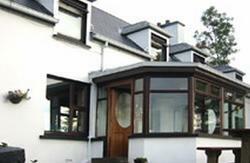 The Hostel is at the base of Errigal Mountain, about 3km from the cross. 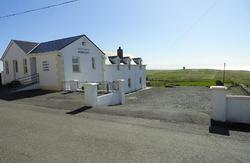 Head towards the church and the Mountain, go past the Post Office and the Youth Hostel is next to the Top Garage & Shop. By Car or Bike, follow the N56 from Letterkenny or Donegal Town and turn onto R255 or N251 towards Errigal.